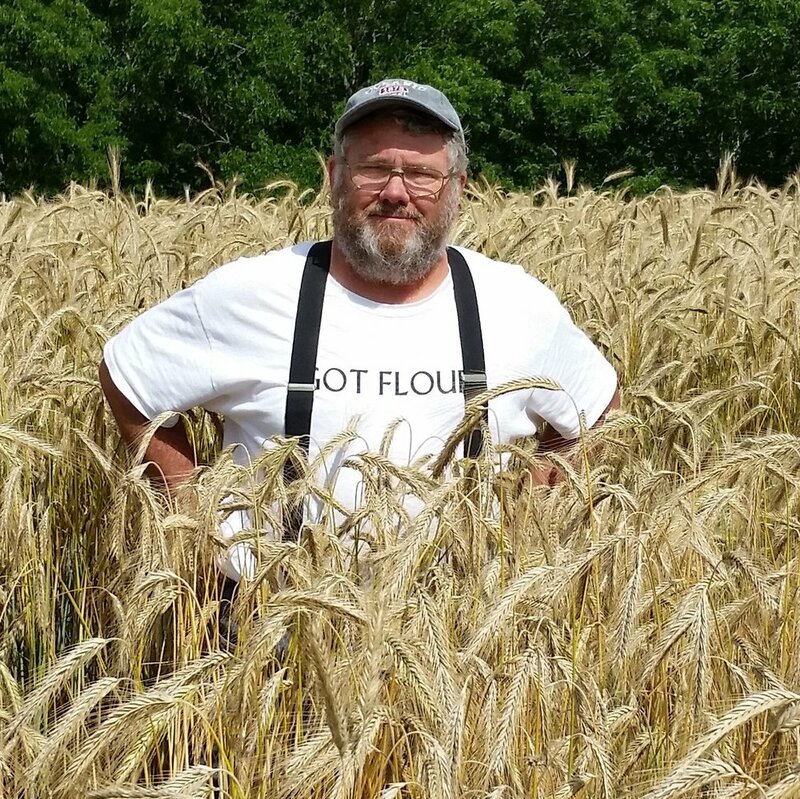 Lonesome Stone Milling is owned by Gilbert Williams, his wife Judy Ettenhofer, retired editor from the Capital Times in Madison, and founder of Midwest Bio Ag, Gary Zimmer. Gilbert has a long history of working with food. He has a B.S. in chemistry which has given him a strong base in understanding how food works at its most fundamental levels. Followed with a master's degree in agronomy and a profound love of Wisconsin agriculture, nature, and environmental issues he was the perfect person to begin Lonesome Stone Milling. He enjoys working with the farmers to find the right balance of rotational crops and varieties for their particular fields, and oversees the day-to-day operations at the mill. He is happy to share his knowledge and love for all that is Lonesome Stone Milling with you. Gary grew up on a dairy farm in Wisconsin thinking he would be a veterinarian. After some eye-opening experiences he determined that the biology of plants was more to his liking! A nearly insatiable thirst for knowledge led to the founding of Midwestern Bio Ag, a local business which has brought an understanding of the importance of micronutrients in the soil to many farmers. In addition to this educational aspect of Gary's multifold career, he grows high-quality grains with his son, Nick, which they sell to Lonesome Stone. Gary is also part owner of Lonesome Stone Milling. Chris Conner, on the left, is our miller. He is in charge of all things milling and knows all there is to know! Jim, on the right, runs the cleaning shed. Gilbert is in the middle!